Easily access SAO’s Facilities Booking System to book campus facilities e.g. basketball court, football pitch etc. More handy features are being developed, including Marketplace and Community Chat. 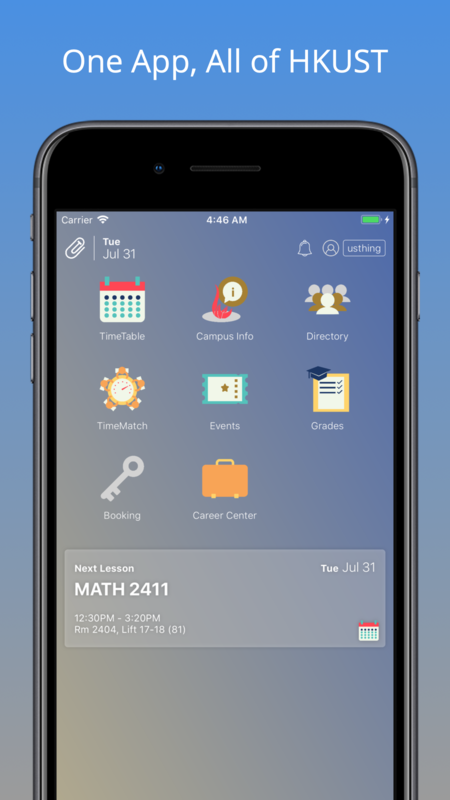 Started in 2015, USThing is a student-developed, all-in-one mobile app that aims at providing a more convenient access to IT services offered by The Hong Kong University of Science and Technology (HKUST) for all students. 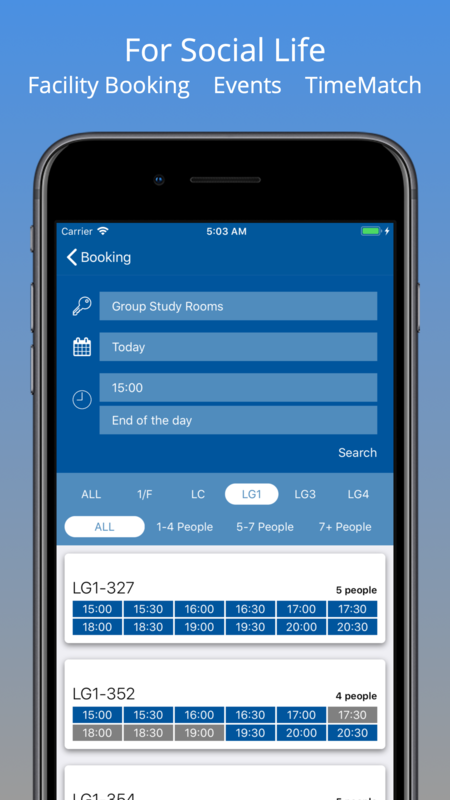 The app helps students easily access HKUST systems such as Facilities Booking System (FBS), Student Information System (SIS), Library Room Booking system and the Career Center Job Board, and provides tools that facilitate students’ learning experiences including next lesson notification, calculation of GPA goals, Common Core course search and matching of students’ timetables to find common time slots for group projects and meetings. 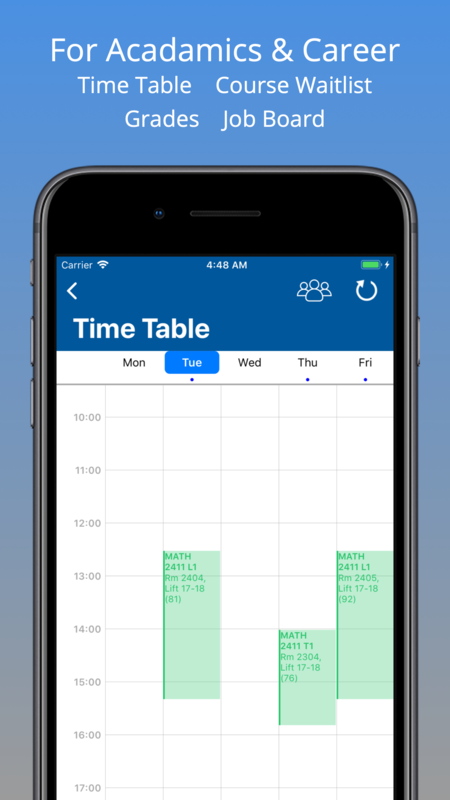 New functions are added from time to time to ensure the app provides an all-round experience that meets the students’ needs. 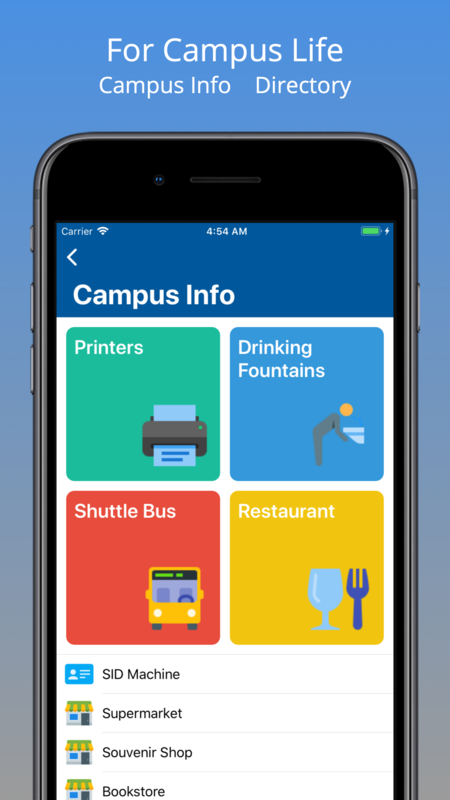 In August 2016, USThing began its collaboration with HKUST and its internal units to ensure the app provides the best user experience for all students, in the hopes of ultimately expanding the services to the entire HKUST community. If you have any ideas for the app, feel free to contact us at [email protected] or through our Facebook page. The USThing Team is made up of passionate and talented students who work towards the continual betterment of the app and the HKUST student community. Our members are studying different majors, in different levels and years of study, and have different strengths and personalities, but we all share the same vision – to make contribution to HKUST in our own ways by enhancing the campus experience through USThing. Our team operates independently and provides members with the opportunity to work in a start-up like environment and gain hands-on experience with the latest technologies. We value and respect our members and believes in a flexible and friendly team culture. We welcome any interested students to join our mission in building a better and smarter campus. If you are interested in joining our team, send your CV to [email protected] and be sure to watch out for our job advertisements on our Facebook page. © 2017 USThing. All Rights Reserved.